WE ARE HUMANITY PROJECT – THE JARAWA CAMPAIGN is a global outreach campaign that aims to introduce you to one of the most ancient people in the world, the Jarawa, the last descendants of the first humans. The Jarawas came from Africa to Asia, 70,000 years ago. Nobody knows their story. They live happy and free on an unspoiled paradise. But now the Indian government wants to assimilate them. For the first time, they speak out and express their wishes for their future through the We are Humanity project and documentary, directed & produced by Alexandre Dereims & Claire Beilvert. We all dream of a lost paradise, a pristine, unspoiled place where we could live happy and free. You tell me it’s a dream. But this place really exists. Lost in the Indian subcontinent island, people still live in the childhood of humanity. They are called the Jarawa people. They just live of what nature gave them, without speculating on the next day, without remorse of the past. They know neither fear nor hatred, nor lust , or gods… Their world is made of smooth, solidarity and love. It is an endless day in the Garden of Eden. 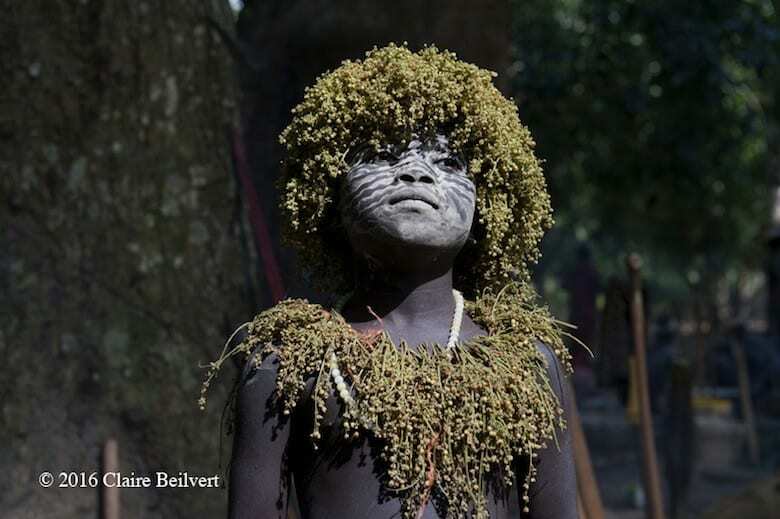 For tens of thousands of years, the Jarawa people have fiercely guarded the secret of the original happiness. But today, their world is about to tip over. These people, still unknown, is already threatened. The Jarawas know nothing of our world. They do not know that we live in fear, in indifference or hatred of the other. They do not know that we are prisoners of money. They do not know that we are contaminating the earth for profit. And yet, we share the same planet. Saving them from our folly, we perhaps find our salvation. WE ARE HUMANITY tell their story through the eyes of a two years old Jarawa boy.